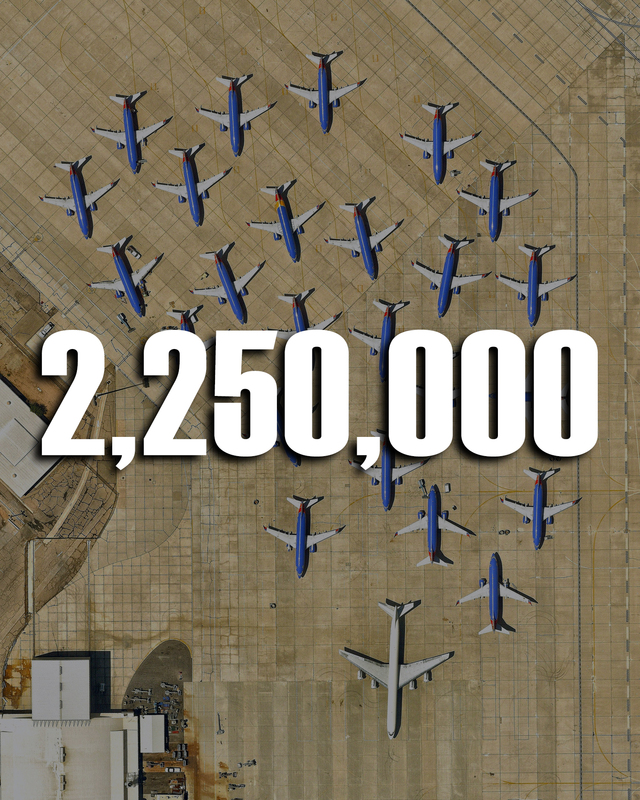 How many total pounds do the airplanes weigh? 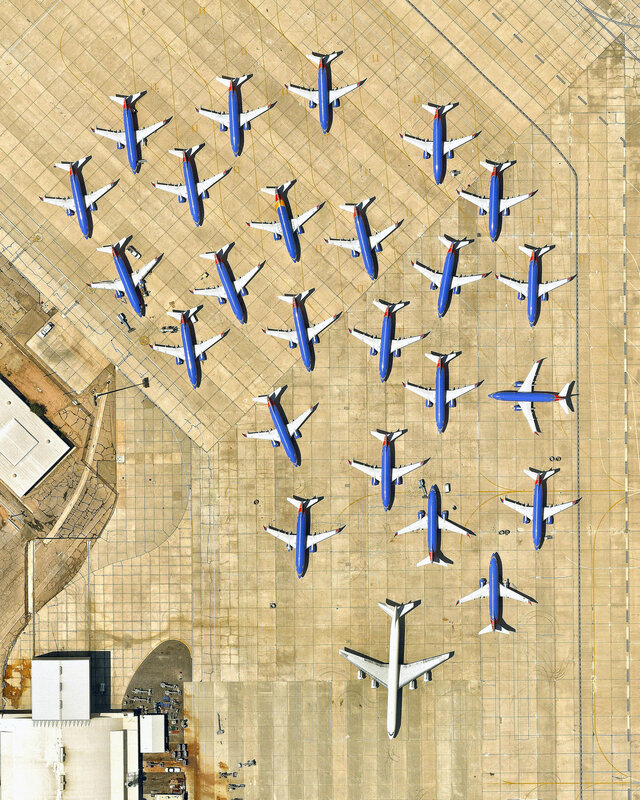 In this Overview, 25 airplanes are parked in a cluster at the Southern California Logistics Airport in Victorville, California. Also known as Victorville Airport, it is home to Southern California Aviation, a large transitional facility for commercial aircraft. No commercial passenger services are offered at the airport except for fixed-based operator and charter flights.